Jackie Montado is the PepsiCo Asia Pacific Region CIO & Senior Director. She leads the strategy formulation and value realisation from digital transformation initiatives across 25 markets in the Foods & Beverages categories. Jackie is passionate about people and developing future leaders whilst learning and leveraging new technologies and capabilities. She is a trusted, strategic advisor, continuously shaping her role and contribution as well as that of her teams. She is a great advocate for women in business, technology and leadership roles. Jackie has undertaken significant multi-cultural business transformations and M&A work over the years and focuses on developing strategic partnerships at the C-Suite level. 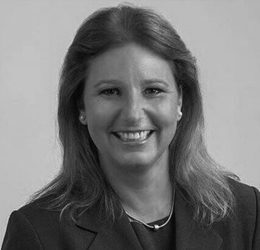 Prior to joining PepsiCo, Jackie held various positions working for ICI Petrochemicals & Plastics, AstraZeneca Pharmaceuticals and PWC Management Consultancy in Australia and UK/Europe as well as undertaking several global roles.